Police are issuing warnings across Ripon and North Yorkshire as a rise of burglaries have recently been taking place in the area. 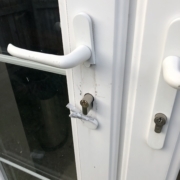 If you are concerned about the functionality of your locks then you should definitely speak to us today to get us to come and provide you with a site survey. Many of these burglaries are simply lock snapping or actively targeting homes with easy to break-in locks so don’t let this be you. Here at Re Entry Locksmiths we are the premier locksmiths Ripon has to offer and have installed new locks on homes and businesses throughout the Ripon area. Not get caught out as we come in to spring and burglaries go on the rise. Click the link to read the article in full.